Do you love farmhouse style tables? 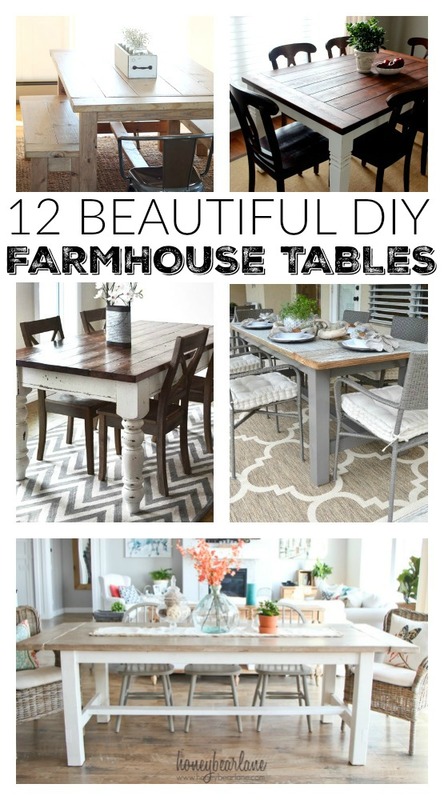 I've gathered 12 of the best free plans so you can build your own beautiful farmhouse table! Farmhouse tables are beautiful, rustic and full of so much charm. The best part about these gorgeous tables is you can build your own farmhouse table with just a few basic tools and a little DIY effort. You don't even need to spend a lot of money on old barn wood to achieve the perfect rustic look. You can easily create old wood charm by distressing basic 2x10's with a hammer, nails or chains. 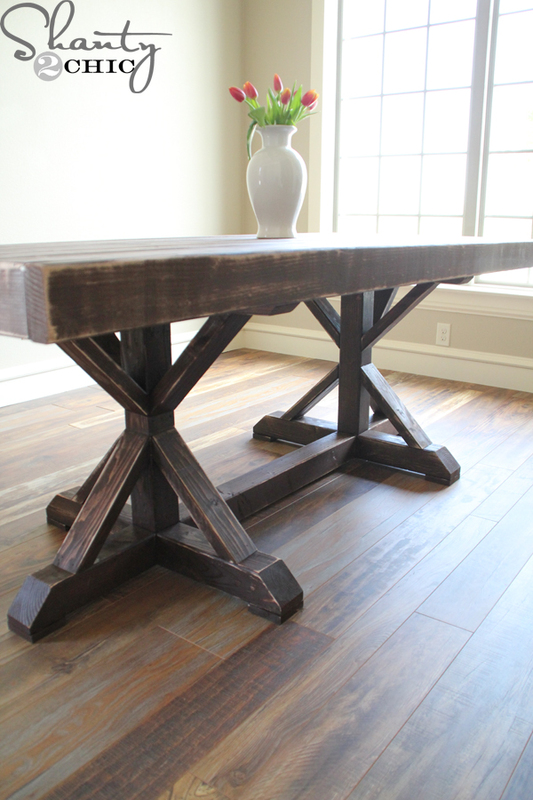 A little sanding and stain later and you have the perfect rustic farmhouse table. For the past few years, I have wanted to build a beautiful farmhouse table for our new deck. Every year I put it off, but this is going to be the year! Our family of four comfortably sits around our current wrought iron table, but it leaves little room for additional seating for company. It's time we finally take advantage of our beautiful new deck and create a space that's comfortable, inviting and a place where we all want to hang out. 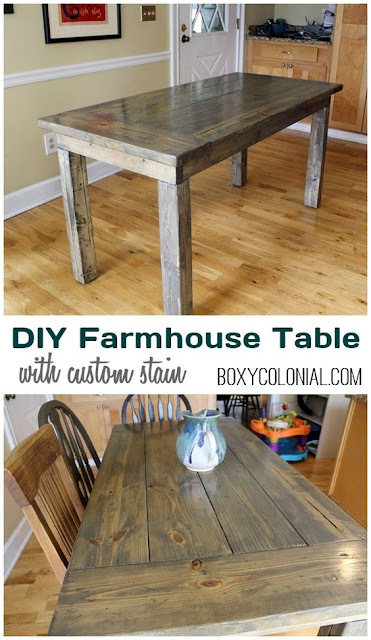 THE BEST FREE DIY FARMHOUSE TABLE PLANS! 1. 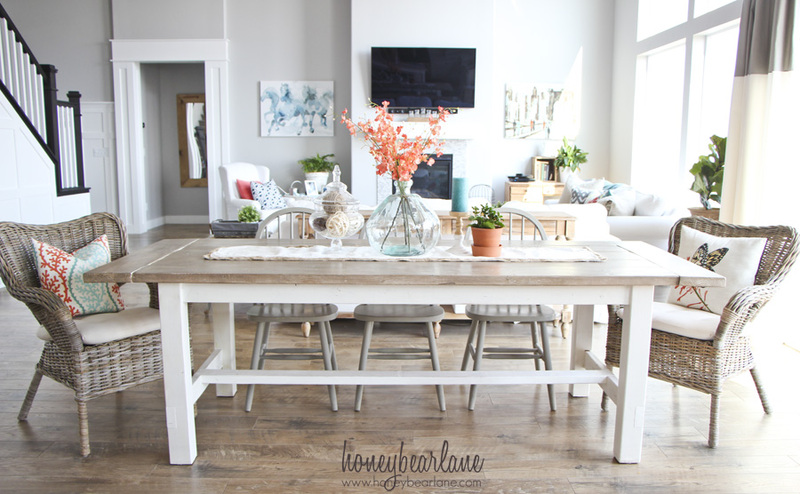 DIY farmhouse dining table from Love Grows Wild. 2. Free farmhouse table plans (using Osburne table legs) from Decor and the Dog. 3. IKEA hack! 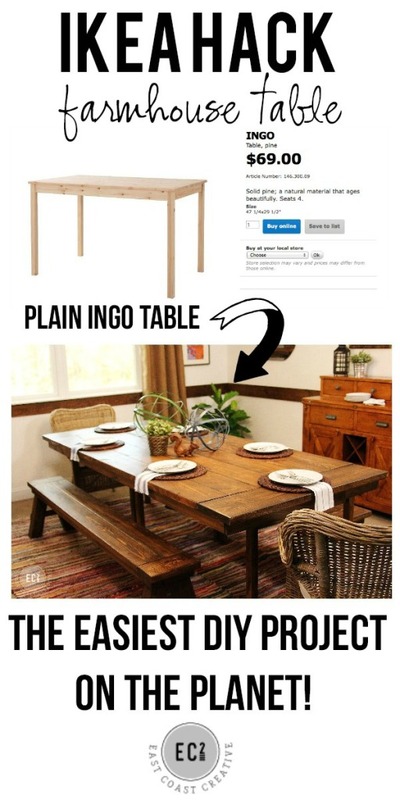 How to turn a basic IKEA table into a beautiful farmhouse table from East Coast Creative. 4. DIY rustic farmhouse coffee table from 100 Things 2 Do. 5. 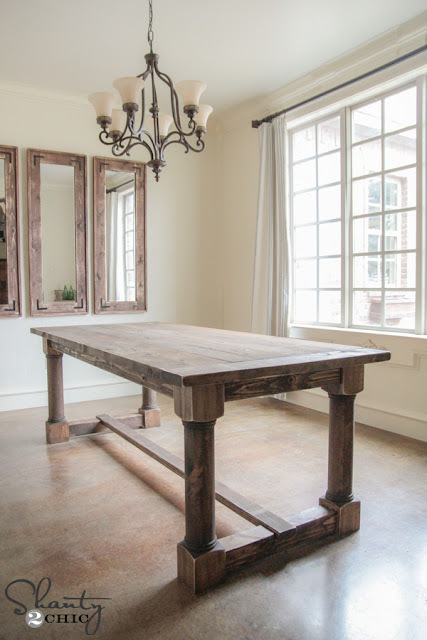 Restoration hardware inspired wood and concrete farmhouse dining table from Uncookie cutter. 6. Restoration Hardware inspired dining table for $110 from Shanty 2 Chic. 7. 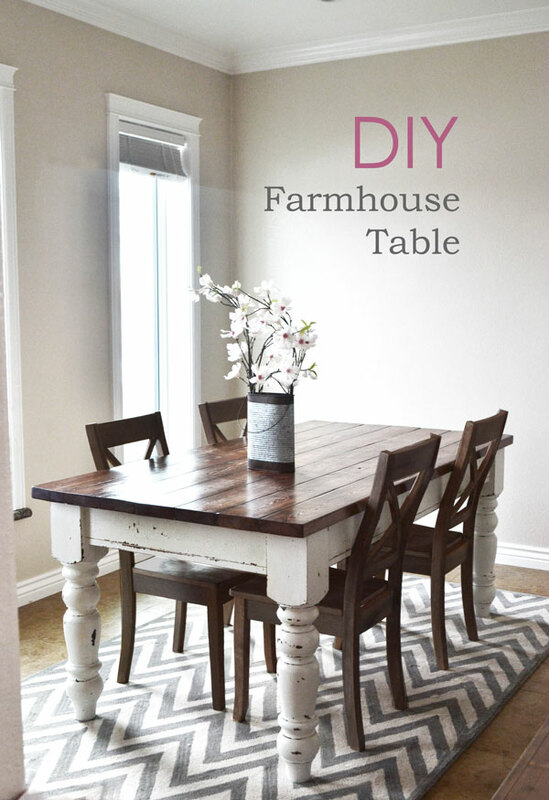 Free DIY farmhouse dining table plans from Anna White. 8. DIY farmhouse table plans (with a custom stain!) from Boxy Colonial. 9. 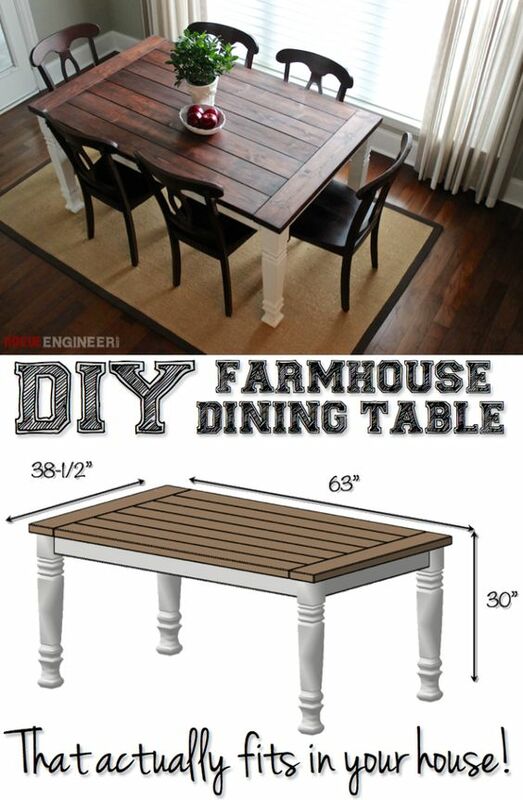 DIY farmhouse dining table plans from Rouge Engineer. 10. Free farmhouse table plans with bench from Honeybear Lane. 11. Farmhouse dining table with turned legs from Shanty 2 Chic. 12. 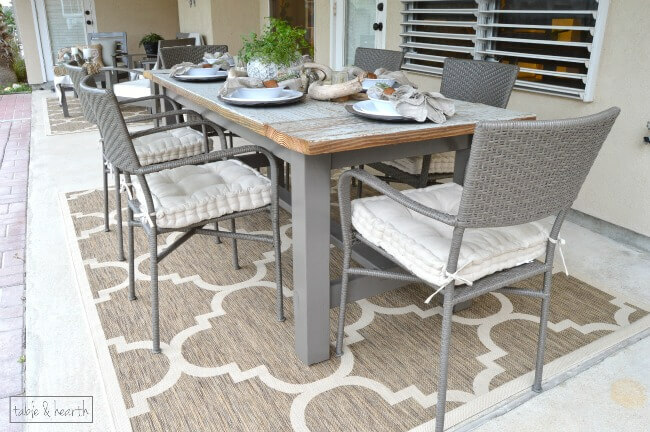 DIY rustic patio table makeover from Table & Hearth. With so many stain and paint options, the possibilities are endless when it comes to building the perfect, DIY farmhouse table. I LOVE these! 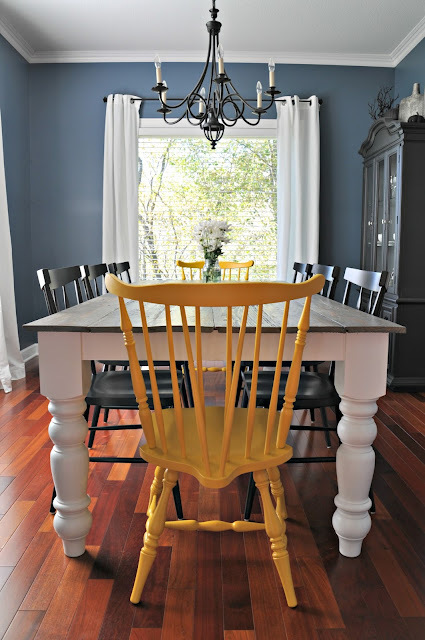 We are planning on making a new kitchen table as soon as the weather breaks and this is great inspiration! Thanks! 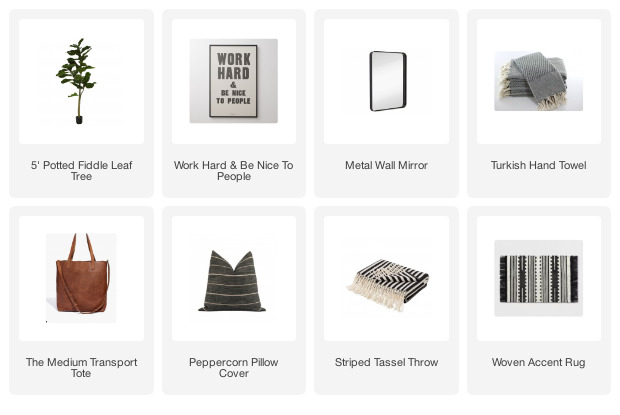 Where can we get the plans for the Coffee table?